Conall completed his association as an Associate Artist of the Abbey Theatre, Dublin in Dec 2008. 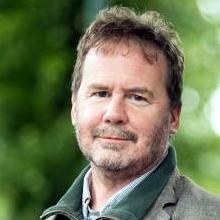 His productions there include The Bacchae of Baghdad (after Euripides), The Importance of Being Earnest, Hamlet (a co-production with the Lyric Theatre, Belfast), his own adaptation of Patrick Kavanagh’s Tarry Flynn, (also at Lyttleton theatre, Royal National Theatre), Boucicault’s The Colleen Bawn (also Lyttleton Theatre), The Freedom of the City, The Tempest, The House, A Whistle in the Dark, Ariel, In a Little World of Our Own and As the Beast Sleeps by Gary Mitchell, Twenty Grand by Declan Hughes, Savoy by Eugene O’Brien, a triple bill comprising The Dandy Dolls, Purgatory and Riders to the Sea/Chun na Farraige Sios and more recently the premiere production of Tom Murphy’s The Last Days of a Reluctant Tyrant. Other productions include Conquest of the South Pole, The Marlboro Man, Emma, Measure for Measure, Macbeth, Kvetch and his own adaptation of Antigone. For the Lyric Theatre, Belfast he directed Dancing in Lughnasa, Juno and the Paycock, Conservations on a Homecoming and Ghosts. He directed Martin Guerre for Cameron Mackintosh, touring England and America. His own plays include Rough Justice, Hard to Believe and Green, Orange and Pink. His production of the musical Ludwig II ran at the Festspielhaus Neuschwanstein, Germany for two years. Most recently, Conall directed La Traviata for the English National Opera and The Taming of The Shrew for the Royal Shakespeare Company.